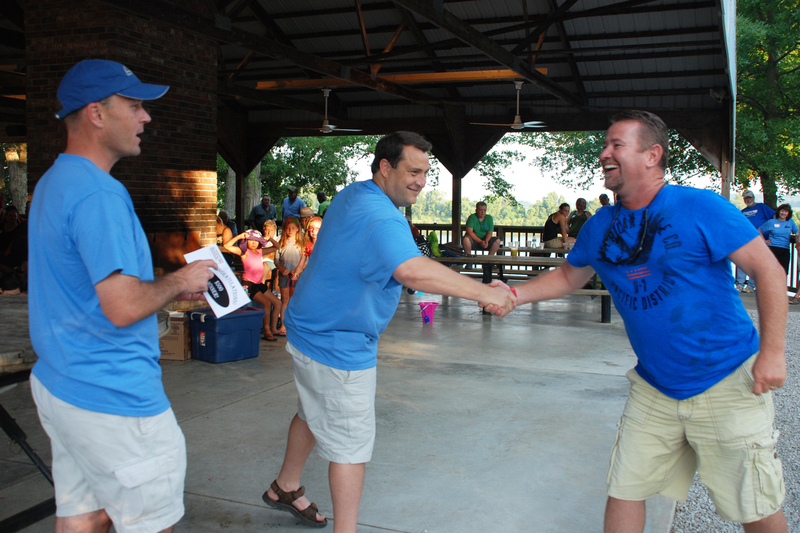 The company would like to thank those employees and their families who were able to attend and enjoy an afternoon of fun, sun and great food and fellowship. 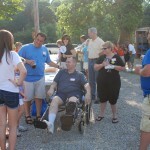 Check out the photos below from our picnic! 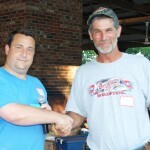 Construction Mgr. 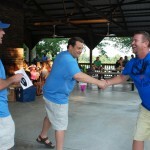 Chris Foster Happily Receives the BIG $500 Cash Prize. 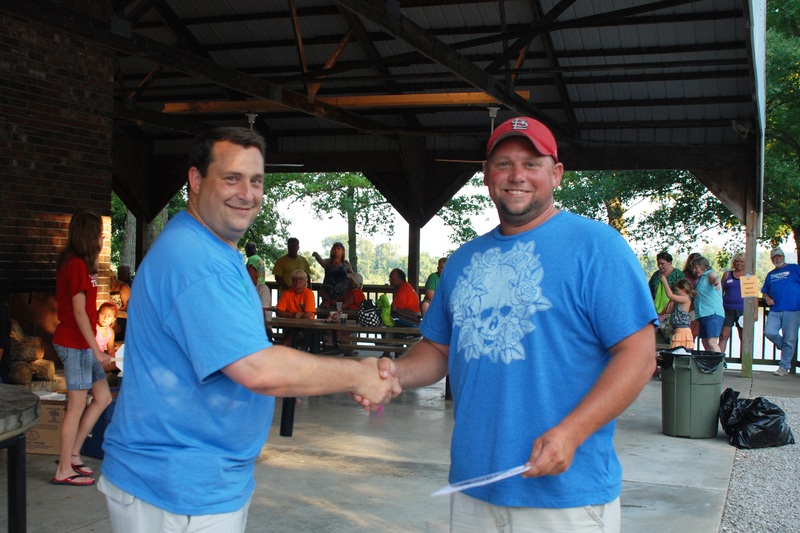 Paving Foreman Todd Heeke Accepts the $200 Cash Prize. 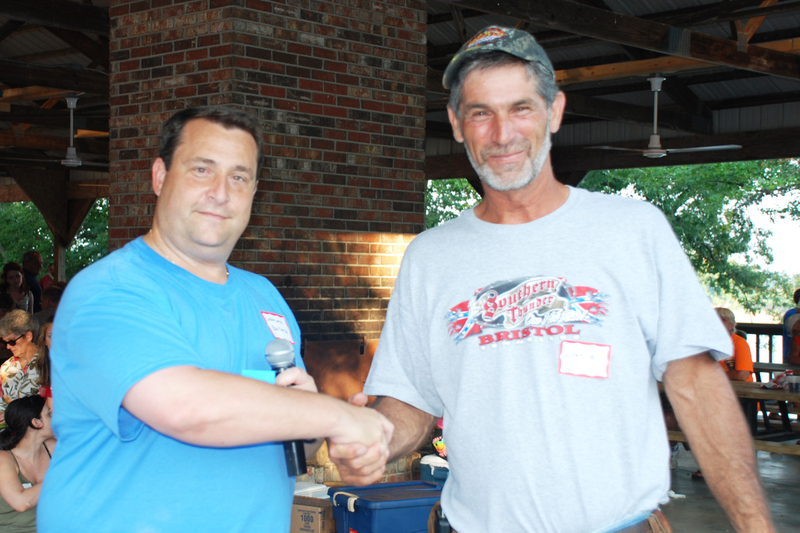 Paving Operator Charlie Goffinet Snagged the $100 CASH Prize. 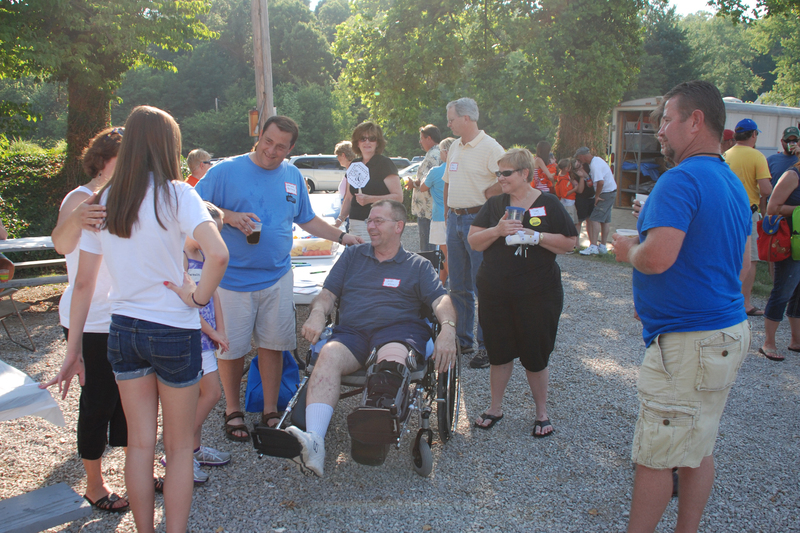 CEO Leonard Bullard and others visit with employee Jeff Kline and his wife Cindy at the picnic. Exec. 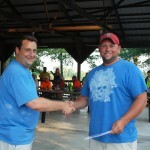 VP Tim Mulzer, Contracts Mgr. 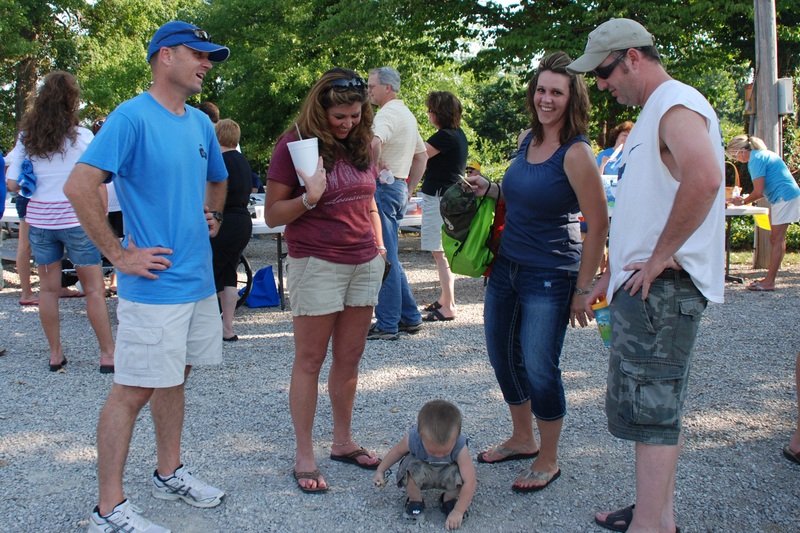 Angela Kifer, Jolene James Richard and PM Chad Hubert watch Kiptyn Hubert have a great time at the picnic. You are currently browsing the J.H. 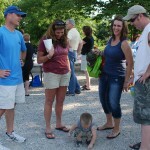 Rudolph and Co., Inc. blog archives for June, 2012.